Help is at hand if you require uPVC window repair services in Runcorn. At Window Geeks, we have years of experience when it comes to carrying out repairs for windows, doors and conservatories. When your uPVC or aluminium windows have been damaged, you may be tempted to simply replace the entire window. However, this is not usually necessary. You can save £££ by opting for a uPVC window repair from Windowgeeks Runcorn instead, whether you require new handles, replacement locks, hinges or replacement glass double glazed units. Give us a call. Some common problems with windows include misted-up or broken double glazed units, draughts or leaks, damp problems, Window hinges being damaged, handles becoming loose or snapped off, worn seals, silicone replacement, locks becoming sticky and windows becoming jammed shut. These are all obstacles we can help you overcome. We have been in the industry for over 3 decades and have seen many competitors come and go over the years. At WindowGeeks, we always aim to surpass your expectations and are only happy when you are completely satisfied with the service that we have provided. What’s more is that we always pay close attention to customer feedback so we can continue to provide you with the outstanding service that we have come accustomed to. We give a generous 10 year guarantee on or glass products, we also fill all of our double glazed units with Argon gas unlike most of our competitors, giving you slightly more energy efficiency for generally lower cost than other replacement glass suppliers in Runcorn. Why pay for brand new replacement windows when you don’t need to? We can fit replacement components of the highest quality, breathing new life into your windows and helping you avoid the expense of replacing your double glazing. Many window companies encourage you to replace windows when this is not needed as this is a cost-effective solution for them, even when it’s not the best way for you to resolve your problem. We always aim to provide a repair when possible and are able to offer some of the most competitive prices on the market, with prices that include VAT, installation and a 2 year guarantee on all of our replacement parts including replacement window handles, replacement windows locks, window hinges, gasket & seals. You don’t have to pay for us to visit your home to carry out a “No Obligation” survey, and we don’t impose credit card charges or minimum order values on you. Problems we are commonly asked to resolve include broken glass, faulty locks, steamed-up double glazing replaced, broken handles, loose handles, damaged hinges, leaks and draughts, jammed windows and broken sealant. At WindowGeeks, we are specialists when it comes to repairing windows, doors and conservatories. We are a small local yet professional team that provides uPVC window repairs in Runcorn, Widnes, St Helens, Warrington and surrounding areas. We have vast levels of technical experience and expertise and constantly win glowing feedback from our customers. Our services cover uPVC, aluminium and timber frames, and we are able to solve most problems with windows, doors and conservatories. We can count a wide range of residential & commercial clients amongst our customer network, and growing numbers of our customers are coming to us after receiving recommendations from friends and family too. Do you need a replacement? We don’t use pushy sales tactics, but we can provide you with a first-class replacement if you windows or doors have finally reached the end of their lives and are beyond repair. You can count on us to only charge for work that actually needs to be carried out and to arrive at your home or business premises on time to carry out any works. People invest in uPVC windows and doors for many reasons. uPVC windows and doors are water and pollution-resistant and only require minimal levels of maintenance. You don’t need to worry about uPVC frames rotting or fading. Not only is uPVC durable and long-lasting, it offers significant benefits in terms of insulation and can keep your home warm during the winter months and cool in the summer. We can also come to your assistance if you require door repairs, or repairs and upgrades for your conservatory. 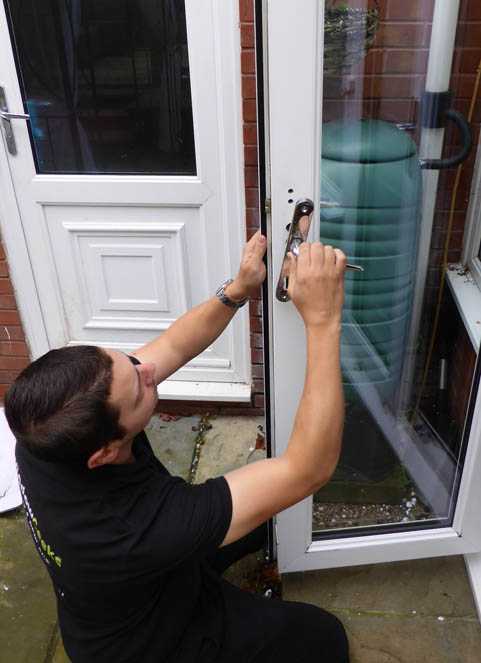 Don’t wait any longer to get in touch – simply call 0800 5 118 007 or use the contact form on our site if you require uPVC window repair in Runcorn. Replaced glass in bathroom window, new door seals front and back and new letter box. Very pleased with the work, left clean and tidy at a price i was very happy with. House feels warmer already !… Highly recommend and will use again.